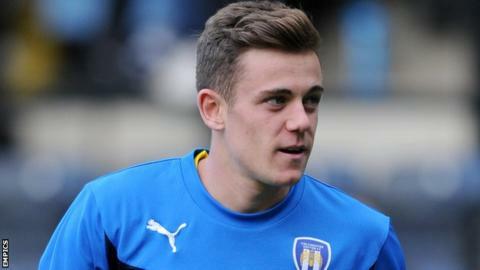 Midfielder Sammie Szmodics hit the inside of the post as Colchester United had to settle for a draw with Oldham. The unbeaten Latics went close through Jonathan Forte's fierce shot and skipper Liam Kelly's long-range effort in a below-par first half. Colchester improved after the break, Joe Edwards' volley and Darren Ambrose's shot going just off-target. Szmodics found the woodwork with his sliding effort while U's keeper Elliot Parish made a superb late double save. Match ends, Colchester United 0, Oldham Athletic 0. Second Half ends, Colchester United 0, Oldham Athletic 0. Jonathan Forte (Oldham Athletic) wins a free kick on the right wing. Jonathan Burn (Oldham Athletic) wins a free kick on the right wing. Attempt missed. Lee Croft (Oldham Athletic) right footed shot from the left side of the six yard box is close, but misses to the left. George Green (Oldham Athletic) wins a free kick on the left wing. Substitution, Oldham Athletic. Timothee Dieng replaces Liam Kelly. Delay in match Liam Kelly (Oldham Athletic) because of an injury. Attempt saved. Alex Gilbey (Colchester United) left footed shot from outside the box is saved in the centre of the goal. Substitution, Oldham Athletic. George Green replaces Rhys Turner. Corner, Colchester United. Conceded by Michael Jones. Hand ball by Liam Kelly (Oldham Athletic). Macauley Bonne (Colchester United) wins a free kick on the right wing.